Social media is an important part of enterprise business marketing, and many of the theories, strategies, and tactics that work for individuals, entrepreneurs, and small businesses work for the enterprise, too. However, there are unique considerations and situations that affect enterprise social media strategy. The following list of 10 essential social media resources for enterprise business will help ensure your organization is positioned for social media success. The web is filled with blogs and websites dedicated to social media, but it can be hard to sift through the clutter to find the people and resources that can truly help you learn, strategize, and manage social media for enterprise business. Here are some creative ways to find useful resources hidden within the clutter. 1. Twitter lists: There are many Twitter lists that people create to keep track of social media experts’ updates and conversations. When you find social media professionals involved in the enterprise, click the “Lists” link to learn what lists they’ve created or which they’re members of. This is a great way to find lists of social media experts that you can follow. For example, @NakedPizzaNYC created a list called Social Media Innov Peeps, and PeerIndex created a list of experts that’s simply called Social Media. There are many similar lists that are publicly available for you to follow. You can also use a tool like Listorious to find lists using relevant keywords. For example, there are lists for marketing, social media strategy, and national social media. Spend some time browsing through the lists on Listorious, and you’ll find a huge selection of resources. 2. LinkedIn Groups: With a free LinkedIn account, you can join up to 50 Groups, and there are many Groups related to social media that you can join with a single click (or by sending a request to join). For example, the Social Media Marketing Group is one of the largest and most active LinkedIn Groups dedicated to discussing social media. 3. 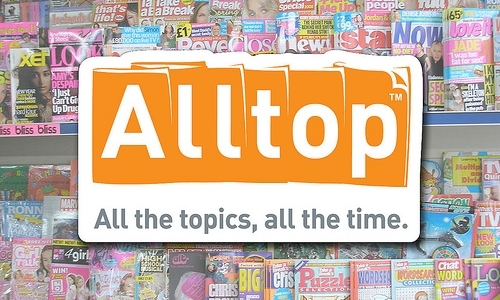 Alltop: A great way to keep up with news and insights related to social media is to read social media blogs. Alltop aggregates content from many top social media blogs and provides all the latest headlines on its Social Media page. 4. SlideShare: There is a huge amount of information and social media resources to be found on SlideShare that can help enterprise business. Visit the home page of SlideShare and type a keyword phrase like “enterprise social media” into the text box. You’ll receive a long list of results filled with useful presentations from social media experts, corporate social media and marketing professionals (like this one from IBM), and more. There are many organizations dedicated to social media, new media, content marketing, and marketing in general that can help you understand social media in the enterprise. Many organizations sponsor events throughout the year where you can network with other people to learn even more and make useful connections. A few popular options follow. 5. 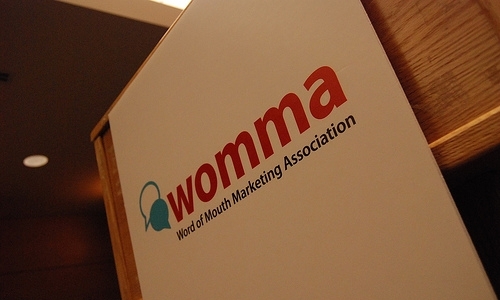 Word-of-Mouth Marketing Association (WOMMA): The power of social media comes from its ability to jumpstart and sustain word-of-mouth marketing. With that in mind, WOMMA is a great organization to follow. You can also consider attending its online and in-person educational seminars and events. 6. Content Marketing Institute: The Content Marketing Institute website offers articles, a blog, white papers, and a magazine written by and for content marketers. Since social media and content marketing go hand-in-hand, it’s a fantastic resource for enterprise business. The annual Content Marketing World conference is a perfect place to network with content marketers from around the globe. 7. American Marketing Association: The American Marketing Association has been around for a very long time, and in recent years, the organization has added a great deal of resources related to social media to its website archives. Social media has also become an integral part of conferences, seminars, and national, regional, and local events. It’s a great organization to join to learn about social media from your peers. There are many research companies that provide useful data about the social media landscape and trends related to enterprise planning and spending. Some research companies also offer educational materials, educational seminars, and conferences where you can learn from experts and network with other professionals in-person or virtually. 8. Gartner: Gartner is typically the go-to organization for information technology insight, but in recent years, the company has begun to focus a good deal of its business on social media. Visit the Gartner website, and you’ll find content and events dedicated exclusively to social media. The Gartner brand’s focus is on the enterprise, so it’s a great place to find targeted insights. Visit the Gartner events calendar, and use the drop-down menu to filter results by topic, such as “social media,” “social computing and social networking,” “social CRM,” “web content management,” and more. Many of the speakers and sessions at these events are unique to the enterprise environment. 9. Forrester Research: Forrester releases many research studies throughout the year related to social media for the enterprise. Some research is available for free, but most is offered for a fee. Forrester events are another great way for enterprise businesses to learn about social media in an environment that’s targeted toward their needs rather than small businesses and individuals. 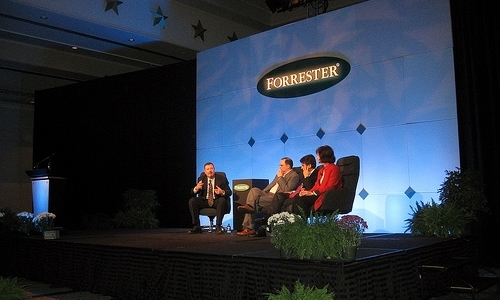 Forrester also offers executive learning programs related to marketing and social media. 10: eMarketer: eMarketer is a great resource for research data related to social media and social networking from a marketing perspective. The eMarketer blog offers a collection of research updates from eMarketer’s own research and a variety of other market research companies. The data is great for trend analysis, strategic planning, and convincing executives that budget dollars should be allocated to social media. 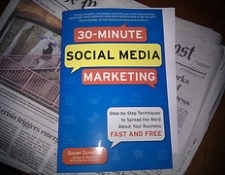 Have any other great enterprise social media resources that our readers should know about? Let us know in the comments below.